Weddings at the Italian Lakes have become very popular over the last few years. 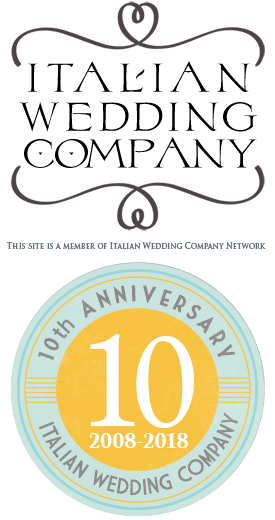 Like all destination weddings, Italy offers the opportunity to limit the amount of guests and add a wonderful holiday feeling to the event. 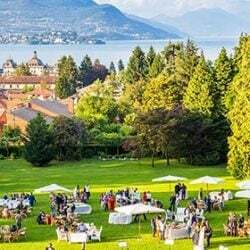 Italy has a wide selection of wonderful venues, such as Castello Dal Pozzo on lake Maggiore, Villa del Balbianello on lake Como, Castello of Malcesine on lake Garda and Villa Crespi on lake Orta. 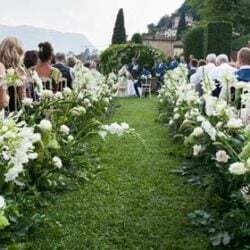 If you’ve just begun planning your wedding in the Italian Lakes area it’s very important that you choose your Italian wedding photographer carefully, as the images will represent how you and your guests will remember your special day. Whether you prefer reportage, elegant, modern, classic, black & white, color, formal or informal, by viewing our online galleries you’ll see there’s a photographic style to suit everyone. The flavor of the decade for wedding photography is the so-called photojournalistic style. But, what is the difference between reportage and classical photography? 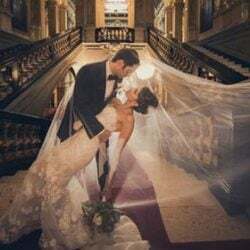 Typical classical wedding photography tends to produce albums consisting of a series of posed photos… group photos, the mandatory exchanging of the rings and cutting of the cake, and some romantically posed photos of the bride and groom. Reportage describes this very natural informal approach to the capture of the Wedding day, the Wedding details as well as the Wedding Couple. Reportage photographs are taken in a journalistic style. The aim is for the photographer to be a fly on the wall, to capture real, honest, spontaneous moments. The end result is a Wedding Story Book Album, which tells the story of your day as it really happened. Photojournalism is defined by the WPJA (Wedding Photojournalistic Association) as: A highly personal, documentary-style approach: you have to be willing to allow your wedding photographer behind the scenes, giving him or her access to your most personal moments, so they can tell the story of your wedding-from beginning to end, and all the hidden parts in between. Many people acknowledge, “I look far better in photos when I’m relaxed and not knowing I’m being photographed”. This style of coverage and approach records you and your guests, favoring the more modern relaxed and atmospheric candid moments. I would say a mix of classic and photojournalist styles work well together. I think that the best style of photography is essentially a photo-journalistic approach coupled with a small amount of classic portrait photography. Make sure you like the photographer’s style and that it fits your personal taste. Take a good look at their photographs. I highly agree. To stand out and have a modern Wedding, you need to find a good combination between, traditional or classic and a more modern Appeal.